Her request for one of these tops ended my indecision about what to knit in Shannon's Spring Tops, Tanks, and Tees Knitalong. I was waffling between this pattern, Lady Bat by Teresa Gregorio, and Nachtfalter by Stefanie Pollmeier . So, Lady Bat it is and hopefully I'll have it finished by the end of the knitalong, which is also about the time that girl graduates. You can see my tension was a little off on the left leaning portions of lace where you knit 2 together through the back loop, so I'll keep my eye on that as I work. 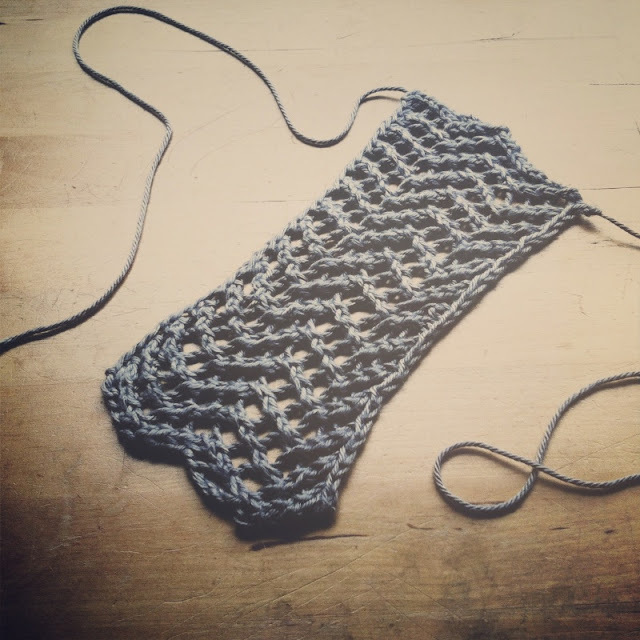 I'm pretty excited about working on a summer knit again. ooh, this is going to be a great sweater! I love that new design. I've joined the KAL as well, I look forward to seeing your progress! I know, I saw it on the forum. I love that design and can't wait to see how yours comes out. I have to make one for myself at some point- it's just too cute. Oh I hope so! 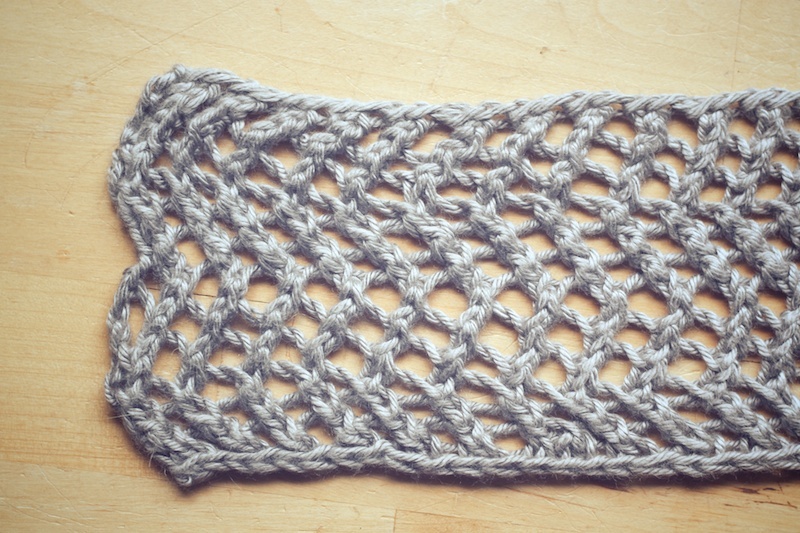 The swatch was fun to knit up but I'm not really getting started until Monday because of a cable project I'm just to "in the zone" for. I need to get past the hard part before starting this top for my daughter. I'm glad you'll be in the KAL too. I'm going to go look for you on the board now.